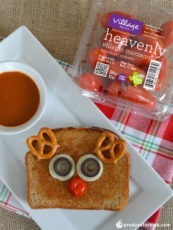 Everyone will love these festive reindeer snacks and they are sure to liven up any holiday party or get together. 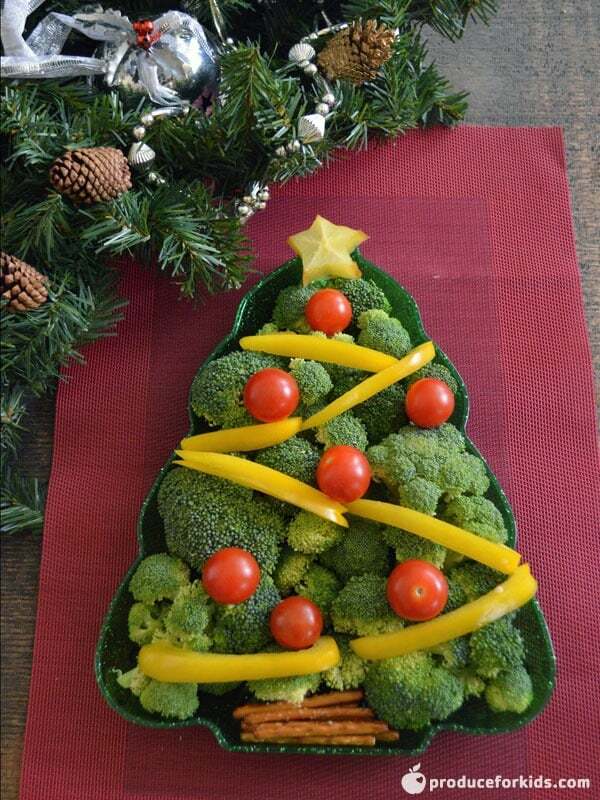 Add to lunches for a fun treat. 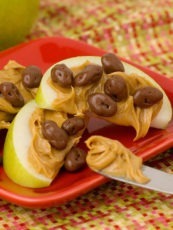 Place apples on plate. Break 8 pretzel sticks in half. 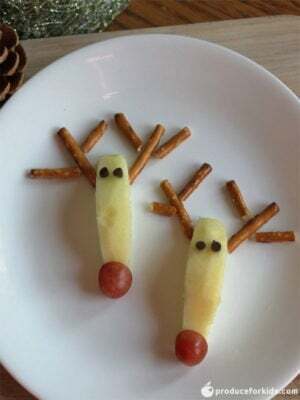 Assemble reindeers by placing pretzel sticks for antlers, grapes for nose and two chocolate chips for eyes.